Now is the time to make a difference. It’s budget season when money is allocated for next year. First step: Register for the Mayor’s Budget Prior setting session on Feb 20. Third, attend the budget meetings in your district. Write emails. Tell your neighbors to write or phone, too. 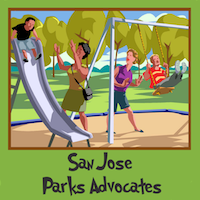 Here are a couple of informational pages that give background on the budget and the needs for parks. There are links to resources, too.